For everything NAS, there’s IronWolf. Always on and always working, IronWolf is enhanced with AgileArray technology for optimal reliability and system agility. 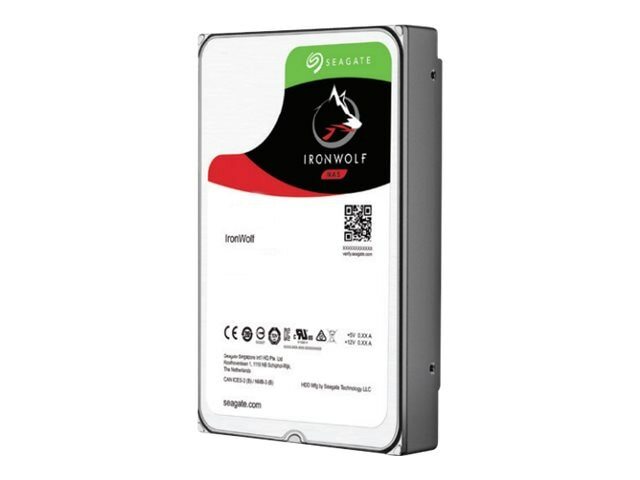 Multi-user technology and extreme workload rates allow IronWolf to perform and scale up with your enterprise. Optimized for NAS with AgileArray. AgileArray is built for dual-plane balancing and RAID optimization in multi-bay environments with the most advanced power management possible. Rotational Vibration (RV) mitigation. First in its class of drives to include RV sensors to maintain high performance in multi-drive NAS enclosures. Range of capacities up to 10TB. More capacity options mean more choices that will fit within the budget. Seagate provides a scalable solution for any NAS use-case scenario. NAS to serve data faster. Do more with multi-user technology. Enables user workload rate of 180TB/year. Multiple users can confidently upload and download data to the NAS server, knowing it can handle the workload, whether you’re a creative professional or small business. Designed for always on, always accessible 24×7 performance. Access your data on your NAS any time, remotely or on site.